In what reminds us about the Samsung Galaxy Note 7 debacle last year, there have been cases where batteries of newly-launched Apple iPhone 8 and 8 Plus are swelling and phones are being left split-apart. The first case was reported in Taiwan where a woman found her iPhone 8 split open after plugging it in to charge. The woman had purchased a 64GB "Rose Gold" iPhone 8 Plus and she put it on charge, using the supplied cable and adaptor. "After about three minutes, she reported seeing the front panel bulge, and eventually lift completely from the device", media reports said. "Someone in Japan then posted photos of a split-apart phone on Twitter. And in the days since, there've been cases in China, Canada, and Greece," The Verge reported on Saturday. CNET also found at least six different reports in at least five countries of the iPhone 8 splitting along. Apple has issued a statement and said: "We are aware and looking into it." 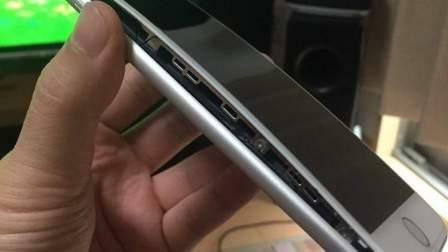 So far, there have not been any fires but new iPhones are splitting along, exposing the smartphone's internals. But it could only be a few units, say reports. iPhone 8 and 8 Plus went on sale on September 22. Apple was yet to release figures for the early sales of iPhone 8 and 8 Plus. The pre-orders for iPhone X will begin on October 27, with shipping starting November 3. Last year, the batteries of the Rs 59,900 Galaxy Note 7 started exploding. Samsung counted several such incidents across the globe (over 90 Galaxy Note 7 smartphones owners in the US reported overheating). Amid conspiracy theories, a global recall of 2.5 million devices was announced quickly and faster replacements were guaranteed. The fiasco over Samsung's flagship smartphone caused the firm operating losses of some $5 billion.